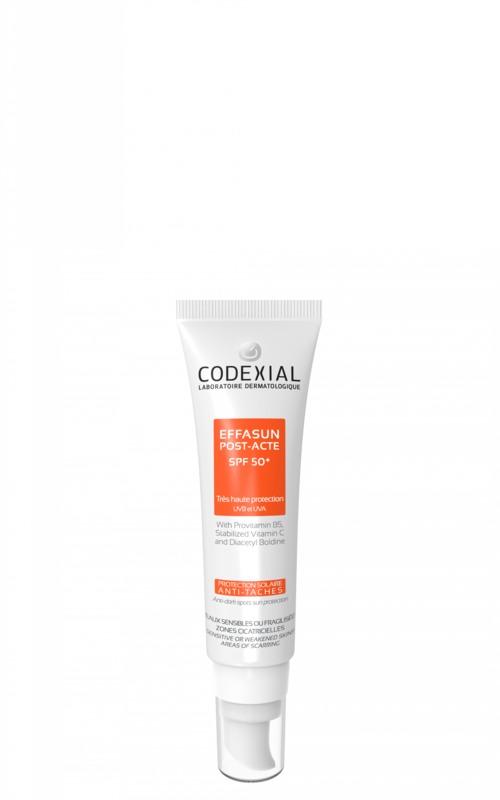 Effasun Post-Acte SPF 50+ combines sun protection with anti-dark spot agents. It works to prevent the formation of dark spots caused by sun exposure and reduce the intensity of existing dark spots. It is particularly indicated for areas of scarring (e.g. marks of acne blemishes) and weakened skins following superficial dermatological procedures (lasers, peels, etc.). Effasun Post-Acte SPF 50+ is a photoprotective and depigmenting care. 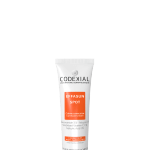 It ensures a very high photoprotection to UVB and UVA in order to prevent brown spots appearance. –Stabilized Vitamin C overcomes skin oxidative stress due to UV-rays. –Diacetyl Boldine, depigmenting active ingredient, attenuates brown spots and unifies skin complexion. 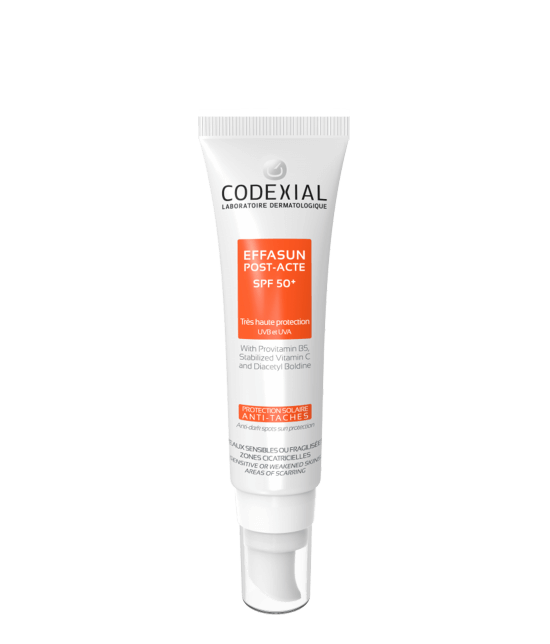 Effasun Post-Acte SPF 50+ is easy to apply: non-greasy and non-sticky, it is fragrance-free and colorless (no white streaks). Apply an adequate amount on affected area in case of sun exposure and re-apply frequently during the day, especially after perspering, swimming or towelling. Precautions: Over-exposure to the sun is dangerous. Do not stay too long in the sun even while using a sun protection.